I took one bite of this and knew I had to get my camera out and get this creamy, cheese, slightly salty Penne alla Vodka recipe up on the blog ASAP. I’ve been making penne alla vodka for years, and I can’t figure out why I haven’t gotten this recipe up on the blog sooner. Look at it! There are so many reasons to love it! First, it’s pasta. Everyone loves a good pasta dish, especially one that is creamy and cheesy. Second, there is VODKA in it. Pasta with vodka, those are like, two of my favorite things. Third, it is truly easy to make. While the steps might look intimidating and you do have to use multiple pans, you have to heat some of the things up, throw them in a pot with some of the things, and then add it all together with pasta and cheese on top. Read through the whole recipe once and you’ll see that it’s really just adding some pasta to an easy-to-make sauce…ready in 30 minutes! Lastly, this is a great skill/effort-to-impressiveness ratio dish. You don’t need to be super sophisticated to make it, and it doesn’t take a lot of time, but it definitely is a show-stopper. If you’re trying to impress someone, whether it be your Bumble date or your parents, this is a great go-to dish to have in your back pocket. Goes great with a simple salad! 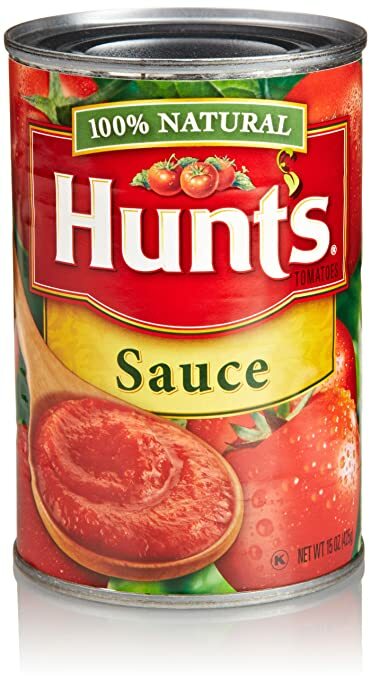 If I were you, I would double the sauce recipe so you can freeze some for later. I did that and now I have extra sauce in the freezer to defrost later - all I need to keep on hand is pasta & parmesan cheese in the fridge, two things that I always have on hand (because duh). Thinking ahead and having easy AND delicious meals at home will save you a ton of impulse-buy money if you’re tempted by takeout or delivery. I store mine in sandwich bags and freeze them laying down, then I’ll stand them up later for easy storage in the freezer! Mine are in 2-serving portions. In other news, it’s almost MARCH! How? Who would have thought that in my second year of teaching it would be even harder to keep up with the blog? I posted more regularly my first year out of college when I was working in a school 50 hours a week and attending grad school on nights and all day on Saturdays…how?!? I guess when I was constantly go-go-go all the time, it was easy to just keep checking things off my list and writing a blog post just got done as I rushed to get to the bottom of my list - which never happened. In my second year as a full time teacher and third year out of college, I’m finding I’m getting better at getting to the bottom of my to do lists, and when I do that, all I want to do is chill out on the couch with a cocktail, go for a run (I’ve taken up running, which if you knew me anytime before age 25, is hard to believe), or plan my next vacation (headed to Germany in April to visit my younger brother studying abroad! Stay tuned for my favorite places from that trip). I’ve said this a million times now, but I want to be on the blog more. I’ve really found my own rhythm of what works for us with cooking for ourselves, and I want to keep trying my best to bring that to more people! In the meantime, sit down with your heaping bowl of penne alla vodka and a nice glass of red wine (or…any cocktail with some of that Tito’s vodka!) and if you’ve got a moment, tell me what you’d like to see more of on the blog, I’d love to hear from you! 1/4 cup vodka - Remember you can check out the grocery guide for more info if you’ve got questions! 1/4 lb. prosciutto - or a few slices. whatever works! 1. Get a large pot of boiling water (with a pinch of salt) started for your pasta. 2. Get out a large saucepan and turn the heat on medium. Add a splash of olive oil to heat up, while you dice 1/2 yellow onion and then add it to the pan. 3. While the onion is sautéeing, dice 1/4 lb. proscuitto. The easiest way to do this is to actually use kitchen scissors and cut the proscuitto into pieces! They’re on my kitchen essentials list. 4. Heat a separate sauté pan on medium heat and add the proscuitto you just diced up. No oil is needed! Continue to sauté the proscuitto as it gets crispier and crispier. 5. Add 1/4 cup vodka to your onion saucepan. Let the alcohol burn off for 2-4 minutes. Pro tip: do not smell the sauce at this point. 100% alcohol fumes is painful. 6. By now your pasta water should be boiling, add 1/2 box penne pasta and cook for 8 minutes or until desired doneness. 7 Once the vodka has evaporated a bit (about 2-4 minutes), add the crispy prosciuitto, 15 oz. can tomato sauce and 1/4 cup heavy cream. 8. Let the sauce simmer on a lower heat setting while you check the pasta, drain it, and grate some parmigiano reggiano cheese. 9. Add the 1/2 the parmigiano reggiano cheese to the sauce, save the rest for topping your pasta! 10. Once you’ve grated your cheese and finished and drained the pasta, taste the sauce and add any salt & pepper to taste. Be careful with the salt because the proscuitto is salty already! 11. Add everything together - I like to toss all my pasta in the sauce and then get it into my bowl to top with some more fresh cracked pepper, fresh chopped parsley, and a generous heap of parmigiano cheese. LUNCH TOMORROW - Almost all pasta recipes taste better the next day, but there’s something about penne alla vodka that’s extra special. I think it’s time for the vodka to soak into the sauce and pasta and for everything to really meld together. This is a super yummy and indulgent lunch to enjoy at work the next day! EXTRA INGREDIENTS - Use up the rest your pasta in one of your favorite pasta recipes, like my pasta & meatballs recipe - or use up your heavy cream while you’re at it in the Creamy Asiago Pasta with Sundried Tomatoes. Save the half of an onion for any one of my other recipes - maybe my easy Chicken Pot Pie to keep you warm this winter? and in case you need it, my favorite vodka drink is a Moscow Mule! This recipe for Easy Shrimp Scampi is one of my go-to weeknight meals. It's filling but still feels light and healthy, and...it's delicious. Lemon, butter, garlic, parsley all meld together to coat the shrimp and pasta so that each bite is full of flavor. It only takes about 20 minutes to come together, meaning you can have a delicious homemade dinner on the table fast right after you walk in the door. One of my favorite things about this recipe is it's a Millennial Staple Meal. That means you can keep every single one of these ingredients in your freezer, pantry, or fridge and they won't go bad before you use them. I always have a bag of frozen shrimp stocked away in my freezer. One thing that makes this so convenient is even if you forget to defrost the shrimp ahead of time, it takes all of 5 minutes under cold running water in a strainer to defrost them. I've always got a box of pasta and a head of garlic in my pantry - those are absolute staples for so many meals. Lemons and butter are staples in my fridge. Lastly, I always have a tube of parsley paste on hand. Parsley paste may sound weird, but it's the easiest way to add flavor to your dishes without having to buy a huge bunch of fresh herbs that will go bad before you can use them all. Find out more about why pastes are the secret to cooking with herbs and spices. I made this recipe probably twice a week in college. Partially because it's so delicious but also partially because it was just so easy to pull together. Another perk of this recipe is you can't really mess it up - as long as your shrimp are cooked, you're good. The entire ratio of the recipe is flexible and to taste. I start with the butter and garlic to cook the shrimp in, then add lemon juice and parsley. If anything is too strong or too weak, it's safe to add more salt, pepper, and parsley, and then a drizzle of olive oil until the flavors are just right. 20 minutes, all the ingredients you need in your place, and a recipe you can't mess up...this recipe for Easy Shrimp Scampi needs to be added to your weekly dinner rotation! 1. Boil a pot of salted water for pasta. 2. Add ~1/2 box of pasta and cook for 8-10 minutes, stirring occasionally. 3. Melt 4 tablespoons of butter in a saucepan. 5. Add your shrimp. Flip when shrimp begin to turn pink, about 2 minutes. 6. Salt & pepper your shrimp, to taste. 7. After about 2-3 minutes, flip your shrimp over. Continue cooking until shrimp are entirely white/pink and opaque. 8. Add 1 tablespoon parsley paste (or 2 tablespoons fresh chopped parsley) and 3 tablespoons lemon juice and stir to coat the shrimp evenly. 9. Add 1-2 tablespoons olive oil to thin the sauce, if desired. 9. When the pasta is done, drain it and add it to the saucepan. Toss to combine. LUNCH TOMORROW - Like almost all pasta dishes, this recipe tastes just as good if not better one day later, once the sauce has had a chance to soak into the pasta and the flavors really fuse together. Reheat in the microwave or on the stovetop for a filling but still light lunch. STORING - Store in an airtight container in the fridge and enjoy within 2-3 days. EXTRA INGREDIENTS - If you have extra shrimp, check out my Coconut Shrimp with Mango Dipping Sauce. Looking to use up the rest of your parsley? Try my Middle Eastern Grain Bowl or head over to my secret about cooking with herbs & spices post. Use up any lemon in a nice homemade cocktail. This recipe for Creamy Asiago Pasta with Sun-Dried Tomatoes is the epitome of comfort food: pasta smothered in a cheesy sauce tossed with chicken, spinach, and sun-dried tomatoes. It's the perfect meal for making in one big batch and enjoying throughout the week, whether you have leftovers for dinner or bring some every day for lunch this week. I've been known to purposefully make this dish ahead of time and wait a day to eat it because it actually tastes that much better. The cheese coats every noodle, the sun-dried tomatoes and garlic infuse into the creamy sauce. The pasta soaks everything up and tastes even more flavorful. Plus, it makes this recipe perfect for easy meal prep on the weekends with a stress-free homemade meal ready to go for the week. This creamy, cheesy dinner is on the table in 30 minutes. That's thanks to the wonders of rotisserie chickens, which you can usually grab warm from the grocery store for around $5. No waiting for chicken to cook or worrying if it's done! I love rotisserie chickens so much I came up with 7 Reasons You Should Always Have a Rotisserie Chicken In Your Fridge. While you're boiling pasta, you pull the sauce together in minutes. Once your pasta is ready, everything goes into a big pot, you stir it up, and you're good to go. You can even lighten it up by using half and half or light cream instead of heavy cream, if you're into that kind of thing. I'm a heavy cream girl myself. Any kind of pasta works for this recipe, but short, hollow noodles that the sauce can hide in are the best for maximizing flavor-per-bite. The oil that the jarred sun-dried tomatoes come in is a quick shortcut to creating a flavorful sauce because you can sauté the garlic in this oil and mix everything together to incorporate the deep, sweet flavor of the sun-dried tomatoes in with the melted asiago and cream. Whether you make a batch ahead of time for the week (let the sauce soak in!) or are looking for an easy weeknight meal (enjoy chicken without having to cook it yourself!) this Creamy Asiago Pasta with Sun-dried Tomatoes needs to be on your dinner menu this week. Vegetarian: Leave out the chicken. This recipe is not vegan or dairy-free friendly. 1. Boil water for pasta. Cook box of pasta until soft, 8-10 minutes. Drain the pasta, set aside. 2. While the pasta is boiling, add the entire jar of sun-dried tomatoes and 3 cloves minced garlic to a large sauce pan. Sauté for 2 minutes until the garlic is fragrant. 3. Add 1 cup heavy cream. Stir. 4. Add 1 cup shredded Asiago cheese. Stir to melt it in. 5. Once your pasta is done, turn the sauce burner to low. Add the box of cooked pasta, 2 cups shredded chicken, and 1 bag of spinach to the pot. Stir so that everything is coated in the sauce and the spinach wilts. LUNCH TOMORROW - This recipe tastes so much better the next day. The flavors have time to meld together, the sauce soaks into the pasta, and everything is covered in melty Asiago goodness. This pasta skillet is meant to be made in a big batch and is perfect for bringing for lunch every day this week! STORING - Store for up to 5 days in an airtight container in the fridge. EXTRA INGREDIENTS - Extra heavy cream should only be used to make homemade whipped cream (you can use your blender!) and enjoyed on an ice cream sundae, on top of fresh berries, or simply by the spoonful. It's a rule. If you don't add the extra asiago cheese to the top of your pasta (because why not), save it in your cheese drawer in the fridge for up to 4 months. It adds cheesy goodness to almost any pasta dish, especially mac & cheese. If you have extra chicken, check out some of my Rotisserie Chicken Recipes like Chickpea Chicken Curry. Otherwise, this recipe uses up all of the sun-dried tomatoes and spinach, so it's ingredient (and wallet) efficient. This recipe was inspired by and adapted from Julia's Album's Asiago Chicken Pasta with Sun-Dried Tomatoes and Spinach.